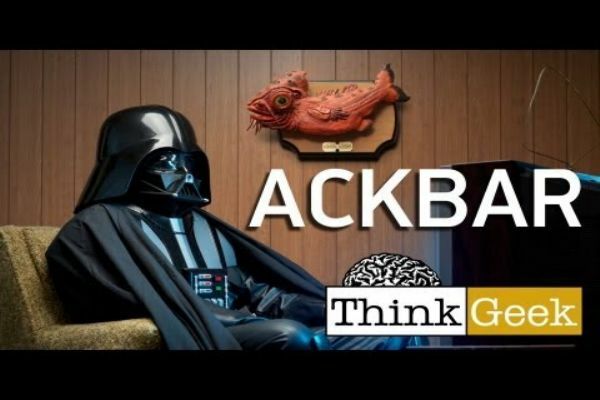 ThinkGeek is by far one of my favorite vendors on the Internet and this year at Star Wars Celebration VI, I will finally have a chance to see them up close and in person. With an online store full of everything the quintessential geek needs, it’s the ultimate geek store. I’ve had a few opportunities in the past to review some of their Star Wars items and in honor of their Star Wars Celebration debut, I would like to give you a list of some of my favorites. 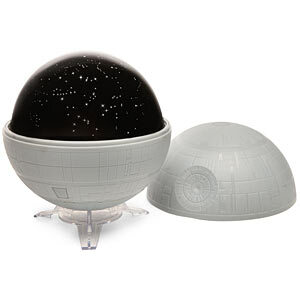 First up is the Death Star Planetarium, This little ball of light is a great accessory for anyone’s room. My son loves that it has two layers. The first is a black covering, that shows stars on the ceiling. The second layer is much brighter and shows you the entire Star Wars galaxy. The only downside to this toy is that it only runs on batteries and if you leave it on overnight, the batteries will be dead by the morning. Next up, is the R2-D2 USB hub. This little guy is the perfect little bleeping accessory for anyone’s home or office. I have mine on my desk at work and not many realize that it actually has a purpose. To top it off, you can get some Star Wars Minobot drives to use with it. It looks a little weird sticking my little r2 drive in r2, but hey, who cares. It’s still cool. One thing that’s very popular among by 501st friends, are armor decals. We get them to commemorate our various troops and events as well as show off our own personal style. ThinkGeek has helped me pimp out by bin (as well as a few others) with their Family Car Decals. 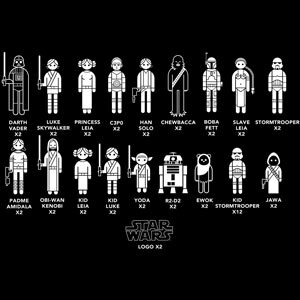 In each pack you get 50 stickers of 19 of the most popular characters in the Star Wars universe. If you don’t have an armor bin to decorate, then use them for what they were designed for…your vehicle! For those of you who want a little Star Wars mood-lighting in your room, might I suggest the Remote Controlled Lighsaber Room Light? With eight different colors, there is a little something for everyone from Jedi to Sith. It’s just enough to give your child a nightlight or yourself a little glow in the bedroom. The Lightsaber is the weapon of a more civilized age. For many people, Force FX Lightsabers are just for show. For my husband and I, they are a required part of our approved Rebel Legion Jedi Knight. And although I have never officially reviewed it, my plush AT-AT has been a hit when used in pictures with other review items. Designated as my personal mascot, my little AT-AT is my favorite little desktop companion at work. This is just a VERY small sampling of the Star Wars merchandise they have to offer. I can’t wait to see what they bring with them to Celebration VI! In exchange for my time and efforts in reporting my opinion within this blog, I received a free review sample. Even though I receive this benefit, I always give an opinion that is 100% mine.